Do you remember when you were 11? Australian filmmaker Genevieve Bailey travelled the world for six years talking with 11-year-olds to compose this insightful, funny and moving documentary portrait of childhood. 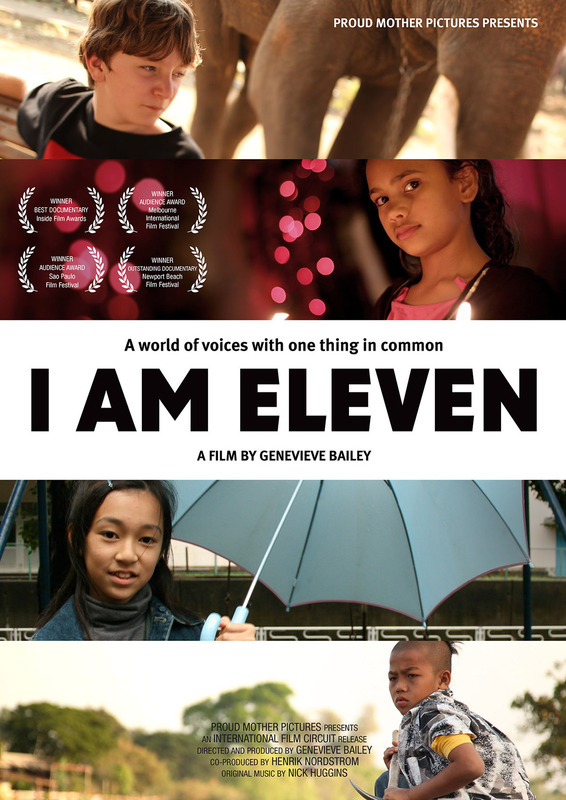 From an orphanage in India, to asingle-parent household in inner-city Melbourne, to bathing with elephants in Thailand, I AM ELEVEN explores the lives and thoughts of children from 15 countries. These children share their thoughts on a range of subjects such as love, war, global warming, music, terrorism, culture, family, happiness, religion and the future. This documentary enables us to explore an age where these ‘not quite kids, not quite teenagers’ briefly linger, between the frank openness and sometimes naivety of childhood, and the sharp and surprisingly brave wisdom and knowing of adulthood. I AM ELEVEN weaves together deeply personal and at times hilarious portraits of what it means to sit at this transitional age. To cover the costs a $5 donation is much appreciated. This entry was posted in Author/Contributor, Lena Kuppens. Bookmark the permalink.